Three bodies representing Rangers fans recently issued a statement which received uncritical commentary coverage in the media. I wrote about it yesterday here. I wanted to look specifically at one of the issues raised – Conflict of Interest. This piece takes as its base my section on conflict yesterday but expands on it. Harper MacLeod (HM) have acted for Celtic FC in connection with various matters. HM have acted for the SPL in various matters, including carrying out the investigation into the dual contract issue, which has now led to the establishment of the Independent Commission. The simple fact is that “conflict of interest” is a phrase often bandied about, but rarely used correctly. As well as acting for Celtic and for the SPL, HM acted for Craig Whyte’s company Tixway UK Ltd. HM acted, and may indeed still act, for Mr Whyte in connection with his court dispute with his estranged wife. These might seem, in some way, like “conflicts of interest” to a layman, but they are not. Scotland does not have huge numbers of lawyers dealing with the very specialised skills involving sports law. Chambers guide to Lawyers, which is seen as one of the most reliable assessments of excellence of legal practitioners and firms, has the following to say about Sports Law in Scotland. I have added my own emphases in bold. KEY INDIVIDUALS Bruce Caldow is an employment lawyer with a considerable practice within the sports field. He is widely recognised in the market for his work with the SRU, for whom he is the national team’s lawyer. He also works with Judo Scotland, and is retained by the European Rugby Cup (ERC) in relation to disciplinary issues arising from its tournaments. Lorne Crerar is both one of the founding partners of Harper Macleod and its current chairman. He is highly regarded in the Scottish sport sector, and is the principal adviser to the SRU in relation to disciplinary issues. Senior partner Rod McKenzie plays a key role in the sports group, and acts as the SPL’s leading legal adviser. His extensive sports expertise is further utilised by the International Rugby Board, ERC and the Six Nations, for whom he is a judicial officer and committee chair. Michael Nicholson also advises the SPL alongside McKenzie. 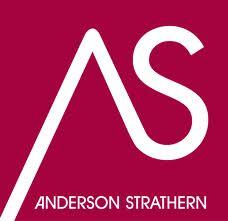 Anderson Strathern has an extensive track record in Scottish sport, and remains a prominent presence in the market. The firm’s sports practice draws upon a range of cross-departmental expertise in order to provide a broad sports service for a variety of sports clients. The firm’s sporting client base is predominantly formed of governing body clients, such as Cricket Scotland, Cycling Scotland and Scotland Rugby League. KEY INDIVIDUALS Corporate partner John Kerr is the firm’s most visible practitioner in the sporting sphere. He frequently puts his corporate nous to use on behalf of sports clients in constitutional, sponsorship and regulatory issues. This firm acts for a broad range of clients within the sports sector, including both governing bodies and clubs. The team is widely recognised in the region for its representation of the Scottish Football Association (SFA). Its members assist clients with an array of issues, encompassing litigation, employment, IP and real estate. The group is increasingly noted for its brand protection work, and has been advising the SRU, SFA and both Celtic and Rangers FC on brand protection issues. KEY INDIVIDUALS Colin Hulme leads the firm’s sports sector practice. This group has forged a tremendous reputation in Scotland for its commercial work with sports clients. In addition to its prominent work on behalf of the 2014 Glasgow Commonwealth Games, the team has been appointed as the main legal adviser to Celtic FC. The team also acts for Dundee FC, and the Scottish and English Golf Unions. KEY INDIVIDUALS The group is lead by John McKinlay. Dundas & Wilson’s commercial expertise proves popular with sports clients, including Rangers FC and the English Football League. The firm also has substantial expertise in sports-related insolvency work, which is spearheaded by the London-based John Verrill. KEY INDIVIDUALS Corporate partner Colin Massie heads up the sports group. Simon Catto heads up the Scottish litigation team at HBJ Gateley, and is well respected for his work in Scottish football, where he has represented a number of SPL sides in high-profile disciplinary cases. Stephen Miller leads MacRoberts LLP’s employment group, and is also highly regarded for his work in the sports sector. So we have here a list of the top sports law practitioners and firms in Scotland. 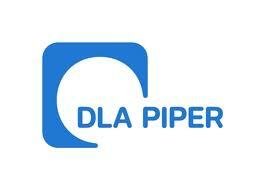 HM have acted for Celtic, but Celtic’s main legal adviser is DLA Piper. HM are legal advisers to the SPL and have a role in many sporting bodies. 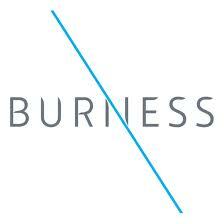 Burness advise the SFA, and also act for Rangers AND Celtic! Dundas and Wilson have acted for Rangers. Biggart Baillie acted for Rangers in the SFA disrepute case, and associated Court of Session action. Levy & MacRae acted for Rangers in connection with UEFA disciplinary matters and for Rangers players in “crisis management” situations. Anderson Strathern acted for Mr Whyte’s Rangers in Court of Session proceedings. MacRoberts are the lawyers for Sevco Scotland Ltd (now the Rangers Football Club Ltd). Whilst HM have a role in legal advice in connection with the Commonwealth Games, significant work here is done by DLA Piper. Is it a surprise that the main sporting bodies, and the main sporting teams, in Scotland use lawyers who come from the top firms in the field? As I said yesterday, and will repeat today, these companies have very stringent procedures in place to identify and prevent “conflicts of interest”. The suggestion being floated in connection with HM was that, in some way, the financial influence of Celtic was so great as to make HM behave unfairly towards Rangers. Whilst their dealings with Celtic will bring in a reasonable sum to the HM coffers, it will be a tiny percentage of the firm’s turnover. If Celtic choose to instruct a different lawyer (as in fact they do) this will not cripple HM. The suggestion seems to be that no firm with connections to Celtic in any way should be involved on behalf of the SPL. It is correct that no firm acting for Rangers could have carried out the investigation as that would have been a conflict. Doing as suggested therefore would, at a stroke, have eliminated all of the top firms in the field. If the SPL had stated that the Independent Commission was to be made up of partners of Harper Macleod who were to consider evidence gathered by HM, then that would have been inappropriate. Short of that I fail to see how there can be a conflict here. It strikes me as yet more “circling of the wagons” or as one commenter put it yesterday, Rangers FC is holing itself up in its laager. The coverage of the “conflict” argument seems to suggest that it is being uncritically accepted by the media. I did not see one mention of this story which referred to what the definition of a “conflict of interest” actually is. Why? I also detect Paul a more coordinated approach. Various individuals in last few days defending use of EBT’s and that no-one has the right to strip them of titles and medals etc. SDM putting his head above the parapet, not really saying anything new just reiterating previous stance. there again who knows what Mr Dodds will say next ! I think one of the scariest things about all of the statements published yesterday by the MSM is that they are straight PR puffery – not a single probing question. Not one word of journalism – an acreage of stenography. @ecojon msm walter murray and the fans groups are in a panic its ebt time lol the handshake is wringing wet with worry its all about to come out . There is also an element of almost surreal humour in ”we will resist” stripping of titles etc and not accept it and that illustrates your point perfectly in that the obvious question even to this non journalist is HOW exactly will you do this ? I contacted by E Mail one of our broadsheets last week asking why no investigative side to their work the reply was basically it costs too much to do it, so sad. Should be straightforward to work out. 1. Does HM currently represent Celtic FC? 2. If YES, are any of the staff assigned to the SPL matter also assigned to Celtic FC matters? 3 Are any staff of HM assigned to the SPL matter directly related to any person who might benefit or represent an organization that might benefit from the potential outcome of that matter. 4 Are any Directors of HM also Directors or Executives of either SPL or Celtic FC? If the answers to (2), (3) or (4) are YES, then a conflict of interest exists. The benefit could be pecuniary, or relate to disclosure of information. From what I read of the protest (apologies, I am in New Zealand), the concern regards the testimonial given by Peter Lawwell on the HM website and/or the position of one of his relatives as an HM intern. The former is no big deal; the latter, even though a tiny matter, requires management. I can’t really comment on points 1-4 as I don’t know the actual answers to the question. All I would say is that I would expect the Rangers legal team to know the answers to the questions and if they believe their is a conflict of interest then I think it is a given that they can make the appropriate submission to the Independent Commission. However, I am sure that you will accept that due process cannot be halted on paranoia and unfounded facts. Even if I knew the answers to your questions and could honestly state that there was no conflict of interest I don’t believe for a second that the truth would be acceptable proof to many rangers supporters. As to the daughter – the placement concerned was in the summer of 201) and was openly published with a picture and editorial copy identifying the girl. Another strange way of hiding what some seem to regard as a ‘guilty’ secret. I understand why Rangers fans have their obsession with secrecy as it forms part of their culture and history. The Celtic Way is much more open and when required the fans take direct action against management/owners – which in the past was derided by Rangers supporters who recently have had to go down the same path. Sadly for them and Rangers it has been too little too late and Ibrox is sleep-walking on a financial tightrope towards oblivion. And what you may not be aware of is that the girl in question was subjected to the most vile personal attacks on a leading Rangers website yesterday viewed by thousands and not one defended her or even challenged the language. She was attacked solely because she was someone’s daughter – that was her crime – just an innocent bystander to be destroyed to suit a hate-filled agends. The comments made be ashamed to be a human-being let alone a Scot! Exactly. If we are not dealing with current situations, there can be no conflict of interest. My questions 2-4 are irrelevant (or at least, should be), as the answer to question 1 is NO. Don’t you know that Celtic not using HM is a cunning ploy to hide the actual relationship where top HM personnel meet their Celtic counterparts on match days at Parkhead and receive the requisite legal advice and get paid off-the-radar via EBTs. The guidelines concerning conflicts of interest as explained by Paul above clearly show that the only connections that matter are those to Rangers or to the SPL. HM have advised the SPL on whether there is a case for Rangers to answer on a charge of having broken specific SPL rules. This has nothing to do with Celtic or any other team. Ecojon, I have followed your posts and articles with extreme interest over the last month or so. I am mightily impressed by your knowledge, investigative prowess and humanity (the most inportant of virtues). I doff my cap to you sir, well done, and please continue your endeavours, they are much appreciated. Is this the proverbial can of worms or a red herring? Are we really to believe that one of the countries leading law firms is likely to favour any particular football club? I’m sure that in their private lives, the employees of HM like any other firm in the country will have favourite teams and that not all of them will support the same one. In this small country of ours any attempt to find an organisation who are totally biased towards one or other of the big football teams would prove difficult. We are a diverse community and I would have hoped that in the modern world, we could stop looking under every rock for a conspiracy. As for PL’s daughter spending time with HM to gain experience whilst still a student, I would hardly think that that position would invest her with any influence, over any enquiry. The group picture of some of the 14/16 2010 summer placements showed a guy and it was quite amusing because on the Darkside boards there was a discussion as to whether he was a ‘Taig’ or not with the balance of opinion favouring ‘Taig’ because of his face – nice to know that eugenics is alive and well in Scotland. But, as usual, it seems all was not as it appeared and another poster came on and identified the ‘Taig’ as a Rangers supporter. I had noticed previously that he was wearing a red, white and blue tie and using the logic of the Rangers posters might have arrived at the ‘correct’ answer sooner. But then I quite like wearing red, white and blue ties so the thought never even entered my head as I had no interest in what religion or football affiliation any of those pictured had. There seems to be a failing in a section of the Rangers support to understand that professional people can have personal likes and dislikes even in football teams but maintain a scrupulously neutral stance in their professional dealings. Picking up on the subject of ties… (is that a topic? Or off?) the former head of security in my building was a massive bluenose (certainy not a hvn, btw). He used to get on my case for wearing a dark blue shirt and red tie combo on occasion – “that’s Rangers colours” he used to say… My reply was “Rangers don’t own the colour blue ffs, I’m scottish, I like blue….”. I don’t understand why Celtic should be brought into this. Celtic’s interests are no different to the interests of the other SPL clubs, or indeed, all Scottish clubs. Why single out Celtic? Is this an attempt to say that this whole thing is a Celtic plot? Rangers are innocent but a Celtic cabal have set them up? Keep up joseph. Celtic have for years now controlled the BBC (GASP) the SFA/SPL/UEFA governing bodies. They also apparently control the Scottish Parliament HM Tax Inspectors and the entire legal system. Not bad when you consider they are “No ra peepil”. How poor rangers have even been allowed to operate with all this “Taig Minded” conspiracy fighting to destroy them , is one of the great mysteries. Next week, how Neil Lennon started the unrest in Syria. Let’s hope one of the wretches from the MSM pinches Paul’s research and publishes the salient facts. How sad that we have to rely on such a hopeless bunch to keep us “informed”. Oh how they must detest sites like this that exposes their sheer incompitence and lack of journalistic talent. The information contained in this one article alone, could have stopped this latest tirade from the sevconians in it’s tracks. Instead, we will see sevconians going straight to “Tasmanian Devil” mode as they wallow in the ignorance of the MSM in Scotland. We all make mistakes and even get things badly wrong but most ‘normal’ people not only come to realise their errors but then work out the flaws in their reasoning and understanding to try and reduce the chance of repeating the error. Of course, being human, we all go on to make new mistakes! But therein lies the crux of the problem that is so obviously manifested in what appears to be a growing number of Rangers fans. They take fixed-positions which are usually ill thought-out and based on paranoia or bigotry. When their arguments are shredded it doesn’t make any difference and ultimately all that remains in justification is WATP. Well I had hoped that Rangers Support would actually learn something of basic human decency mixing with ordinary fans who support their local clubs in very difficult conditions, especially financially. Sadly that will not come to pass and as Paul and a fellow poster put it – they are forming the laager. For over 50 years I have been an admirer of the Boers who rate with native Americans as the finest light irregular horse ever but who had superior guerilla tactics which are still studied to this day. Of course the Boers learnt a lot about the use of land from the Zulus and other African tribes. But one thing they were very careful about was picking the positioning of their laager very carefully and always with an eye to being able to make a strategic retreat if it became necessary. It might suit the Rangers fans better to study the Boer tactics rather than an earlier small skirmish which they seem caught-up on. If they do they might actually be able to concentrate their firepower on Mr Green and his plans and actually win the battle to recover their club. Let’s wish them success and hope that in victory that they also learn some humility and recognise that some of us are actually trying to help them for the sake of Scottish Football as a whole. Absolutely spot-on mick – Green has had the riot act read to him over his bigotry comments – that is obvious by just looking at Ally. But he’s sliding off the hook in the scrabble of EBT naysayers telling their version of the ‘truth’ as it applied at Ibrox. And not one probing question from the Scots journalists. I can just imagine them out in Syria at the moment fawning over the regime manfully attempting to bring peace and prosperity to the population who turn out everywhere the press pack are taken to chant support for Assad. hanging proudly on the wall of the “hospitality lounge” inside Ibrokes. Sheer unadulterated comedy gold. Naturally, not one of them could explain why it was there. I assume it is a sponsers dictat, but as you can imagine, mass hysteria ensued. I wonder if it’s still there? Well the rumour I’m picking up is that Green wants to replace Ally with Lenny who isn’t that keen because he’s being offered a 50 year contract and he reckons Green wants people to work for longer than this Tory Government. It’s quite sad – the club which they say they love beyond life itself will finally be going down the pan in the not too distant future and this is what bothers them. The picture they should be interested in is one of Ibrox for their scrapbooks before the ground is flattened for Tesco. I find the onslaught of conspiracy theories emanating from the Rangers masses absolutely hilarious. Now, to make it clear, I am neither a Rangers nor a Celtic fan and I have no religious connection to anything, but I think it has been obvious to me and any other unbiased person, that if there was a conspiracy within Scottish football, it has always favoured Rangers. Indeed it still does judging from the general behaviour of the SFA etc in recent months. For the Rangers faithful to suggest a Celtic influence pervades everything is just simply laughable. @ Charliedon: Have you, or anyone you have knowingly consorted with, drunk a pint of Guinness? How is Sally today? has anyone heard? I take your point about FC Sercovia fans already sneering at their 3rd division competitors. One classic thread on the “Bear’s den” forum was titled……. Remarkably, instead of being laughed off the forum, the poster was inundated with various suggestions. It would seem bears have given up although they refuse to admit it and are now simply consumed by blind hate for all things Scottish. I believe they will try and take the 3rd division down with them. they hate scotland as scotland skepled there arse all summer for financial doping and thinking they were the people its over for them and there arsees are still bleeding from it greens doped div3 hes no even played 1 game yet no matter what spl players he buys div3 is not much diffrence from div 1 or some spl teams its going to be tough for them and every diddy wants to shine agianst them, if its not admin for green by xmas then they will not get back as its to tough. Thanks for that Geddy Lee – fell off my seat laughing. Will check out Bear’s den – anyway, all this righteousness and certainty of argument is playing havoc with my DNA-tuned worry and presumed guilt (and yes, my school’s name started with ‘Saint’). Only to be taken in very small doses though as once the humour passes at the nonsense and madness then Depression is not far behind upon realisation that we have to share planet earth with this alien species. We could hope for “Observer effect”. So that’s it then-Rangers fans are devil incarnate.It all makes sense now. When I think back to the banner at Celtic Park – ‘Your deeds would shame all the devils in hell’, but wait! it just came to me, wasn’t that aimed at the men and women risking their lives for our country as we speak? With that in mind, and so much more…Before pointing to the speck of sawdust in my own eye, take out the plank of wood from you own. Very emotive stuff. But as usual just putting down the information and letting everyone make up their own minds whether it was appropriate for Celtic fans to use the line or indeed for me to post this piece. And don’t ever forget that Connolly was a Scot born in Edinburgh and a doughty fighter for the international working class as well as that in Ireland. One can only wonder where he would have ended up if he had lived to witness the Russian Revolution. If you don’t believe that soldiers from any army are capable of great brutality then you know little of war and the atrocities that are committed. To be fair there is often indiscrimate slaughter in the first flush of victory especially if the fighting has been close-up and personal. And it is also accepted that first-class fighting troops do not make great prison camp guards. Often the best gaolers in the 2nd World War were found to be old soldiers who had experienced WW1 and were too old for active duty in WWII. And that included German and British guards. There is a problem within the spl corporate structure in that clubs are members of the board when this should be independant which leads to the accusations of biased relationships etc. Until this structure is changed then it’s most likely that this will continue, even if they are incorrect assumptions. OR we could all shut up and move on as this whole thing is a shocking waste of time and money and a distraction from what we should be concentrating on – FOOTBALL!!! Talk about cryptic. Surely that was not a serious attempt to deflect away from Sevco’s financial shenanigans? If it was, you will have to try an awful lot harder. I believe it’s time to roll out “Bomber” Brown again to rally the flagging spirits at castle Ibrokes. of Sevconians. Have you even read the article above the comments? Does not sound like it, unless of course you are adobting the “See no evil hear no evil” approach so loved by everyone from Sevcovia. If you read what I had wrote, my point was that when we have a structure in place like this, then accusations will fly around like this….I did not say I agree with the accusations I just pointed out that such a flawed corporate structure leaves itself open to such things… Surely you would recognise that an independant board should be in place to govern the league? All of it, from both sides utter nonsense. But, the facts are HM was not a great PR move by the spl board despite the fact that I am sure HM are very well qualified. The investigation is to of no benefit to anyone so indeed a waste of money. The authorities need to get there own house in shape before attacking member clubs, the lack of corporate governance is embarrassing. Even the old timers at Uefa are bemused by our handling of such affairs. as in perhaps ‘The sleepwalking Zombies of Sevcovia’ a real Vince Price feel to it. I appreciate your point, but I can honestly say that my immediate family, as far as I know, have been quite uniterested in any particular organised religion. Therefore I have never had any religious agenda pushed at me. However, I have no desire whatsoever to bring any religious element to the debate, I mentioned it only to illustrate religion would not influence me to persnally favour any football club over another. As a result, I would hope that my formed impression of a Rangers influence being prevalent in Scottish football over the years is based only on personal experience and impartial observation. murray and co are ozymandias now there a joke and a laugh murray walter and the fans group message just highlights there fall from grace more ,what other payments were made?? thats what we have to ask there is still 2 million unaccounted for maybe murray can clear it up in his next press reliese,are sevco liabile for oldco ebt dramas and can uefa punish them for it forget murray and walter there worried about the taxman wanting money back thats all and thats all they will ever worry about they dont give a hoot for rangers and never have ,we all know sevco newco have not had any punishment yet and div3 was due to the admin and liquidation so what can happen to newco via ebt findings ??? I trust you saw the funny side of my post. I come from a mixed-religion Irish background with one set of grandparents prods and the other taigs. All believed in their separate religions but were practising Christians first and foremost. I was very lucky in the way I was raised without bigotry and a good grounding in what was fair and moral and above all else the need to listen to reasoned contrary arguments if I was to fully understand my own. It’s sad how much we have lost by the disappearance of a lot of the old ways and especially the wisdom garnered from generations long gone. I was taught how precious time was by two ‘Pops’ who had both survived the horrors of WWI and admonished to never to waste it on fools or unachievable goals. Sometimes in my life I have strayed from that wisdom only to realise later that I had erred. My ‘Pops’ had learned that bitter lesson the hard way, in the trenches, at the hands of 2nd lieutenants straight from their Public Schools urged on by jingoism and the Generals safely ensconced at the rear calculating the value of each yard of bloody advance in tens of thousands of dead Tommies. Lest we forget let’s always remember that football is just a game it is not Life or Death no matter how much some sad people want it to be. I agree absolutely with what you say. Be reassured I saw the humour in your earlier posting but I just wanted to expand on my earlier thoughts for the benefit of others looking in. Keep the humour going – I love it! @ecojohn I have agreed with much of what you have written in the past. However, a reading of current histories of WW1 suggests that although the generals themselves may have been at fault, commanders on the ground came from mixed backgrounds and merely tried to follow the orders they had been sent. Sociologically, the First World War ensured the mixing of all different classes and races in an unspeakably horrific situation, both at the front and at home. Indeed, I have consorted with various Guinness drinkers over the years, but I believe they just enjoyed the taste of the black stuff. I’m not a lover of it myself, I’m more of a wine buff. @ecojohn, sorry haven’t been keeping up today…. In reply to your Boer comments.. Contrary to what many think the germans (yeah the hun) were not the first to set up concentration camps. As you will know, it was the Brits who invented the first concentration camps to house the Boer farmers’ women and children using this underhand tactic to break the rules of military engagement. Not being able to compete face to face with their inferior farming foe, cos the Brits were the peepul of the day. However the Boers and pals were underestimated and as it turned out were well up for a fight, employing tactics to defeat those who thought were by default worldbeaters, naively so. It turns out the Brits were badly equipped for battle, ill advised and could not adapt to change…. Many thousands of innocents were affected by the actions of the cowards with the underhand tactics, somethings never change.. I hope all mention of PL’s family members cease to appear on ANY website and it is forgotten..
Over 25,000 women and children died from hunger and disease in those camps. Photographs taken at the time are comparable to those of Jewish survivors of German camps after WW2. I did know about the birthplace of concentration camps and that we were behind them, They were driven by the Empire’s necessity to beat a bunch of farmers who had run them ragged. Shades of Aghanistan come to mind. I have also often wondered if the later German use of camps was sparked by the Boer/German connections connection which existed as there were a lot of similarities between the two systems. Just one of the many tasks I haven’t managed to carry-out and I’m afraid my German is now too poor to attempt it. The camps came later in the conflict and the British military rationale was that by destroying the farms and herding the women and children into the camps that succour was denied to the Boer guerillas which would reduce their fighting capacity, Farms were destroyed, animals slaughterd wantonly and crops destroyed. And the camps turned into the hellholes that only jailors with no human decency could create: No sanitation, poor medical attention, inadequate food, no fuel for heating or cooking, lack of clean drinking water – you name it and it was missing. And the women and kids dopped like flies and died in their tens of thousands. Their men fought on but the British started parcelling-up the country into huge barbed-wire enclosures with regularly sited blockhouses especially along the rail lines to protect the troop trains from derailment. Denied a war of movement the Boers knew they were defeated and the surrendered. A Boer site at: http://www.boer.co.za/boerwar/hellkamp.htm tells the tale very emotionally and is well worth a read as few in Britain have ever heard of the atrocities carried out which, in the modern age, would be dealt with as genocide . The period of hostilities is very interesting historically and so are the roots of the conflict and the aftremath. And there is no doubt that the Capitalism of Empire linked to the discovery of gold in the Transvaal drove the whole show which was a disgraceful episode in our history. Sadly the history is usually written by the victors and we are often left with a highly partisan view of many conflicts throughout the world. Sorry didn’t realise you had posted on the Boers – I had always been interested in the military side of the Boers when I was younger but didn’t come across the camps until much later. It was actually back in the day when organising joint anti-apatheid pickets with the Scottish Liberals against supermarkets selling mainly South African grapes and wine – which I now drink far too often to make up for my earlier abstinence – while researching the roots of apartheid I came across the existance of the camps. The website I mantioned in reply has a brief mention of apartheid beginnings and trust me it is not as simple as our history books taught us. @andy The reason an inquiry is necessary now is that if people break the rules there must be some form of censure or others may think that it is worth breaking the rules as there will be no punishment if they don’t get caught straight away.